Good sports shoes are recommended for visit of caves! 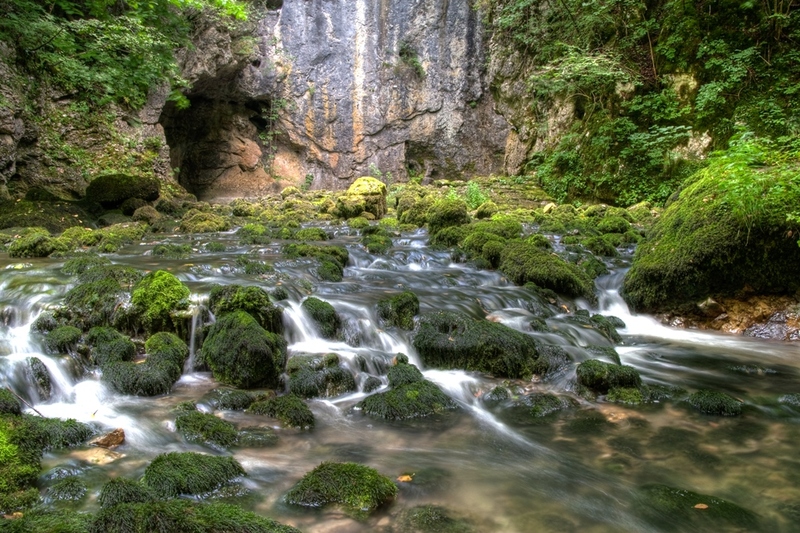 The Škocjan Caves and the Classical Karst region remain the only monuments in Slovenia on UNESCO’s list of natural and cultural world heritage sites. They are a unique natural phenomenon, the creation of the Reka River. After reaching the Karst, the river deepens it’s limestone surface by slowly dissolving the riverbed. In the first part of its course, the Reka still flows on the surface, along an approximately four-kilometer-long gorge that ends with a magnificent wall under which it disappears underground. The Reka River blind valley is the largest in Slovenia. A few hundred thousand years ago, probably in the Early Pleistocene, the ceiling of the cave collapsed some 200 metres from the sinks; as a result, the collapse of Velika dolina (up to 165 meters deep) and Mala dolina (120 meters deep) were created, separated by a natural bridge, a remnant of the original cave ceiling. Above the caves lies the village of Škocjan. Close to the village is a ninety-meter-deep abyss called Okroglica, which ends just above the underground Reka River. The Škocjan caves comprise a network of eleven caves with hollows, swallow holes, natural bridges and many other geological features. You will marvel at the beauty of both the underground and the surrounding karst world above.